Harbortouch, which supplies point-of-sale (POS) systems to thousands of businesses across United States, disclosed a breach in which some of its restaurant and bar customers were impacted by a malware. 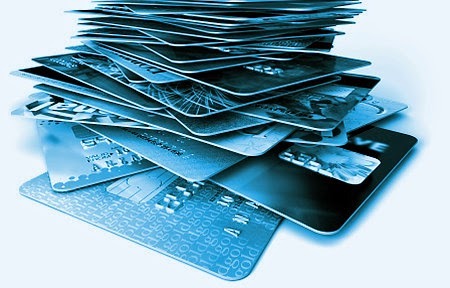 The malware allowed hackers to get customer card data from the affected merchants. A card issuer recently reported to KrebsOnSecurity about the concerned authority is ignoring the dangerousness of the breach. And the ignorance of the company would affect more than 4,200 Harbortouch customers nationwide. Before the Harbortouch had revealed, many sources involved in financial industry suspected that there was a possibility of a breach at a credit card processing company. According to an article published on KrebsOnSecurity, the suspicion increased whenever banks realized card fraud that they could not easily trace back to one specific merchant. Some banks wanted to know about the unrevealed fraud as stolen cards were used to buy goods at big box stores. They made some changes in the way they processed debit card transactions. United Bank recently issued a notice saying that in a bid to protect its customers after learning of a spike in fraudulent transactions in grocery stores and similar stores such as WalMart and Target, it has started a block in which customers will now be required to select ‘Debit’ and enter their ‘PIN’ for transactions at these stores while using their United Bank debit card. Harbortouch issued a statement last week, in which the company said it has identified and contained an incident that affected a small percentage of its merchants. It also confirmed the involvement of malware installation on the POS systems. The advanced malware was designed in such a way that the antivirus program running on the POS System could not detect. The Harbortouch however, removed the malware from affected systems shortly when the problem was detected. Mandiant, a forensic investigator, helped the company in its investigation. The company explained in the statement that it does not directly process or store card holder data and only a small percentage of their merchants got affected for a short period of time. Currently, the company’s officials are working with the parties concerned to notify the card issuing banks that were impacted. After that the banks can conduct heightened monitoring of transactions to detect and prevent unauthorized charges. However, the sources at a top 10 card-issuing bank in the United States that shared voluminous fraud data with an author of KrebsOnSecurity on condition of anonymity, the breach extended to at least 4,200 stores that run Harbortouch’s the POS software. Nate Hirshberg, marketing director at Harbortouch, said the statements are not true. Jimmy John's is the latest company hit with Point-Of-Sale(POS) information breach. The Illinois based sandwich shop said it learned of the hack on July 30 and immediately hired security experts to help with the investigation. In July, Brian Krebs reported that multiple financial institutions were seeing fraud on cards that had all recently been used at Jimmy John's locations. He also reported that the stores are using pos systems made by a third party vendor Signature Systems Inc. At the time, the breach was not confirmed. After nearly two months, the company confirmed it. According to the company's statement, hackers stole log-in credentials from its POS vendor and used them to gain access to Jimmy John's POS systems. The Signature Systems also confirmed the breach that attackers gained access to user name and password that they used to remotely access the POS systems. The attackers then installed a malware which is designed to capture payment card data from cards that were swiped through terminals. The information including card number, verification code, expiration date and card holder's name are at risk. The company says the information entered online such as email ids,passwords are not affected. The incident affected approximately 216 Jimmy John's stores.